This is not a blog about religion. If it seems to you it is, then one of us, you or I, is missing the point. A friend told me yesterday he can’t always figure out what my writing is about. Today’s will certainly challenge him. The other day I came across the following in an article I was reading for I-forget-what purpose. As the pre-Socratic philosopher Alcmaeon of Croton put it, this is the very definition of our mortality: “Men perish because they cannot join the beginning and the end.” Accordingly, all mortal longings are constrained—even the desire to shape our own life-story (1). 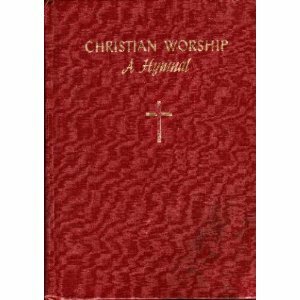 If I were not too cheap to be a betting man, I’d wager that in the hymnal Christian Worship published jointly by the American Baptist Convention and the Disciples of Christ in the 1950s, number 106 is the hymn “Worship the Lord in the Beauty of Holiness,” by John S. B. Monsell (1811-1875) to the tune Monsell by William F. Sherwin (1826-1888). Monsell was a Church of England priest who published hymnals. Sherwin was an American who studied music with Lowell Mason and directed the music at the first Chautauqua. Monsell sticks in my mind now and then. It’s not a horrible tune as 19th-century American hymntunes go. It’s just a bit on the insipid side. Fortunately the editors of Christian Worship omitted the raised fourth at the beginning of the second phrase of the music so I don’t have that bit of musical kitsch in my mind every time I imagine the tune. One might, if one were paying attention, ask how I know the hymn is at number 106 in that defunct hymnal. “I wouldn’t think about it, if were you. You’d only get depressed” (2). Of course, Rosencrantz is talking about the possibility of being dead and lying in a box with a lid on it, not about remembering the number of a certain hymn in a certain hymnal. I know that number because during my junior high years, I played it on the organ regularly on Sunday mornings. It was one of my dad’s favorite hymns. He, as pastor chose the hymns. Whether or not he liked the tune, I do not know, but he loved the words. Bring and adore Him—the Lord is His name (3). Fatherhood, in some circles these days, gets a bum rap. If one is a churchy person, one will find (at least in most churches that do not insist that the Bible was written by God himself) a tendency to try to equalize the fathership and mothership of God. And to feminize or at least neutralize all of the theological language possible. I’m not saying that’s not a good thing. Or a bad thing. I don’t really care. However, I think it’s possible that I may need to draw back a bit from all the isms that have made inroads into the way we think in my lifetime (my lifetime is obviously no different than any other lifetime—thinking always changes, contrary to popular opinion). With Alcmaeon of Croton I’m thinking this morning about the impossibility of joining the beginning with the end and about shaping our own life stories. Yesterday afternoon we joined together, our family and some friends, for a Christian service of memorial for my father. This afternoon we will bury his bodily remains. My intention here is not to write an appreciation or a paean of praise for my father—although I might well do that. I’m thinking, rather, about the miracle of fatherhood, at least for me the miracle of having had my father physically present in my life until my sixty-seventh year. And my longing to shape my own life story in relationship to his. 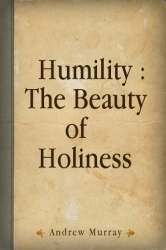 I began with that somewhat sentimental hymn, “Worship the Lord in the beauty of holiness,” for a reason. My intellectual (call it spiritual if you must) goal for most of my life so far has been to find either the holiness of beauty or the beauty of holiness—I’m not sure which. (Here’s where you might think this is religious.) One day when I was in about fourth grade, my mother determined I was not practicing the piano diligently enough. She had my dad sit beside me on the bench. It was a turning point in my musical development. I remember it distinctly. All he said was that it didn’t sound as if I wanted the music to be beautiful (I was pretty angry). Worshiping the Lord in some kind of beauty—the verdict for me is still out on the holiness part, even on what/who might be considered “Lord”—eventually became the goal of my life. Even now when I’m pretty sure I don’t believe any of it. The influence of my father has been the most constant constant of my life. I know how unusual it is to be in actual physical relationship with one’s father past age 66. The fact is, I feel fairly close to “joining the beginning with the end.” This constancy of being with my father perhaps gives me a different perspective on fatherhood than many people have. I’ve worked through all my father-bashing. I no longer need to blame him for anything in my life. And he has taught me above all that constancy—not dogmatism or self-righteousness or any of those other rigid character traits—is the meaning of relatedness. I don’t know exactly how my father thought music sounding beautiful would be different from what I was doing when he watched over my practice. But I know that—always—when I have played beautifully by my own standards, he has been joyful. This writing is more disjointed than usual. After all, it is my father’s burial day. But I’m trying to write out the connection I understand between joining the beginning and the end, worshiping the Lord in the beauty of holiness, and the constancy of my relationship with my father over my entire lifetime—so much the shaping of my life-story. Joining the beginning—my father loved me unconditionally—with the end—he ultimately found a way to explain his love to himself that made sense in shaping our life-stories together. I don’t know. I may be totally wrong about that, but I think not. The beginning of love is always unconditional. The end is a work of beauty. It may even be the holy. (1) Jeffrey, David Lyle. 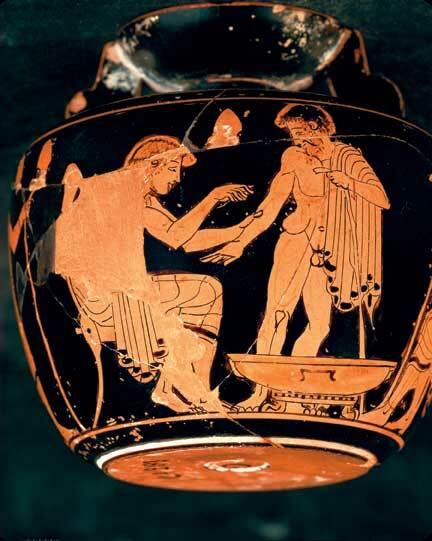 “Of Beauty and A Father’s Love.” Christianity and Literature 56.1 (Fall 2006): 199-138. (2) Stoppard, Tom. Rosencrantz and Guildenstern Are Dead. Act II. 1976. (3) From the blogger’s memory. Great writing. I think I “got it all”. My thoughts will be with you today Harold. This is exquisite – spiritual, religious, personal, moving. I get it! Thank you. Thank you for once again granting us a window into your heart. I miss you my friend. Dear Harold: I learned of your loss this morning at Vic G’s memorial service. Please know that you will be in my prayers and that I truly hope memories of your father bring comfort to you. I was sorry I did not get to meet you today, perhaps another time. God bless you.